Healthcare organizations are dynamic and complex systems that require multiple subjects to achieve its goals. Therefore it is no surprise that communication is a fundamental process in these systems, and that failures in communication are associated with worse outcomes. However, the term communication without a formal definition is nothing more than an elusive concept. 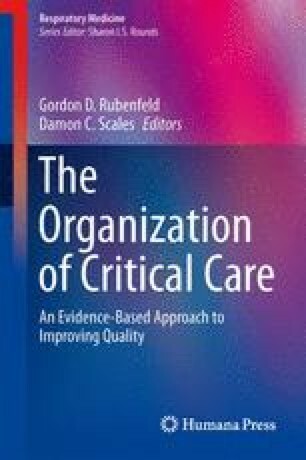 In this chapter we borrow from an established mathematical framework of communication and use it as the basis to identify sources of errors in communication, discuss the main moments of communication in the ICU, and contextualize how communication tools, such as interdisciplinary rounds, standardization, pre-printed orders (PPOs), algorithms and language style, can help improve communication and increase the efficiency of healthcare and patient safety.